In late January, about 35 students in the sophomore class will embark on a once in a lifetime journey to study abroad on the Tiferet Israel Fellowship Program during their second semester of tenth grade. Tiferet has been a part of Milken for many years and many alumni of the program have returned with plenty of new friendships, and memories that will last a lifetime. However, sometimes the consequences of these bonds are strained friendships and unwanted tension between students who have traveled abroad and those who have stayed back home. Some of this strain is reflected in the name of Laferet, a play on words by combining the initials of the city of Los Angeles “LA” with the name of the Tiferet program. In prior years, the students who did not leave for Israel coined this term to signify their competition with the program, proclaiming that they are going to have an equally good — if not a better — time than those who leave. √As tenth graders who are currently witnessing this split just prior to the departure date in January, we wanted to interview several students in our grade (and in the grades above us) to determine the benefits and detriments of the program in terms of the social relations of the community. Since the beginning of October, there has already been many indications of a divide between the tenth graders who are planning on attending the Tiferet program and those who are supposedly not going. These divides consist of creating group chats, dinner plans, and having inside jokes between the separate groups. This has caused tensions between friends, and friend groups, due to exclusion. Because the divide has commenced prior to the program’s kickoff date, we were curious about knowing what our class dynamic will be when the Tiferet students return to Milken. We interviewed some 11th graders and asked them about how their grade interacted with one another once the Tiferet kids returned to help us predict the future. Michael Bochkur Dratver ‘19 mentioned that his “grade was completely divided when the Tiferet kids came back, and it felt like a completely new school.” Kayla Sorensen ‘19 recalled, “there was a lot of tension between the students who stayed in Los Angeles and the students who went on Tiferet. After summer, the grade was mostly back to normal.” The word “normal” is very ambiguous, so we asked Sorensen to elaborate on that idea. Sorensen asserted that it meant that friendships that were somewhat fractured or dismantled during the Tiferet experience reunited and cliques went back to their traditional routines. Therefore, based on our interviews with students, it appears that this divide is actually quite standard because it causes the students in both the Tiferet group, and those who stay at Milken to become closer. 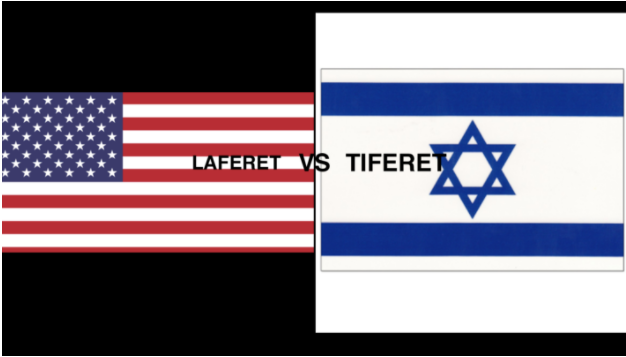 However, a negative feature of the program is that these two groups might lose connections with each other, meaning that the Tiferet group kids and the Laferet kids seems to not hang out together as much afterwards. While the Tiferet students will always have their memories together because they share an experience like no other, we are hopeful that the two groups will eventually merge back together and become a united class of 2020! Previous articleQUIZ: Which tiyul is right for you?